It’s no secret that digital commerce is shifting to mobile devices. According to Adobe, 54% of 2017 holiday season retail traffic is coming from mobile devices, but these mobile shoppers only accounted for 37% of purchases. More than ever, retailers need to find ways to convert these mobile shoppers, and conversion begins with effective mobile design. To drive mobile conversion, you need to build an experience that engages and attracts users in all three groups. Remember these three cohorts: you’ll see them again later. 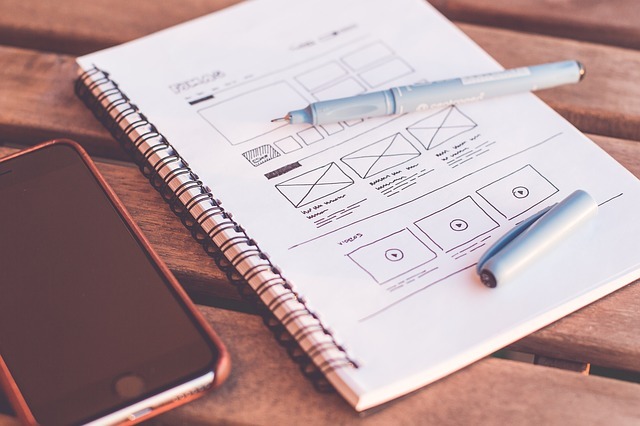 With mobile-first design, the design process begins with the smallest screen, and then scales designs up to larger viewports. 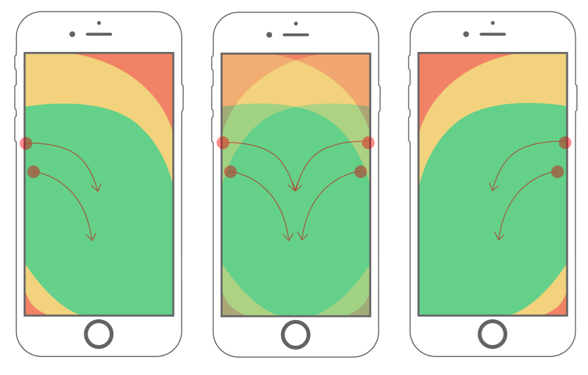 In the mobile-first method, designers are working with the tightest limitations up front. This enables them to make the experience more robust as screen size increases. With Responsive Design, the design process begins with a large, common viewport (say, a desktop), and scales back the experience to mobile screen sizes. In this method, designers create the best desktop experience possible and edit or remove content as screen sizes become smaller. While both approaches can lead to engaging mobile experiences, mobile-first design is the way forward. With more people on their phones than ever, designers need to focus their efforts on creating excellent mobile experiences, not paring away content to fit size constraints. Mobile-first design allows for the creation of engaging mobile experiences – despite screen limitations. When it needs to be ported to desktops, functionality can be added. It’s a win-win. The most important user experience tool to design around is the thumb. As touchscreen phones began to dominate, the importance of the thumb and how far it could reach became more important to the experience. 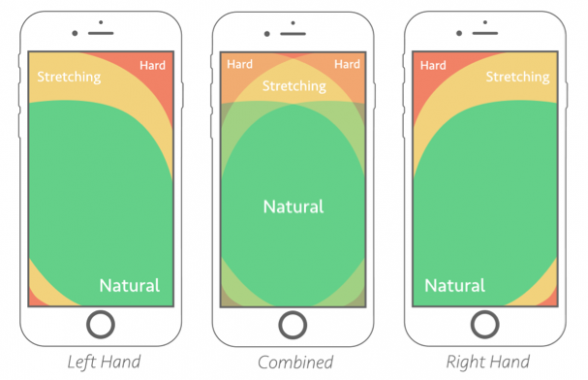 Here are some heat maps from Samantha Ingram at Smashing Magazine that show thumb ranges on a typical iPhone. Here’s some facts: 49% of people hold their smartphones with one hand, limiting their reach as seen in the above images. 75% of interactions are thumb-driven, meaning that mobile design needs to be optimized for one-handed thumb-based browsing. Touch targets are usually between 35-45 pixels, but thumbs usually come in around 72 pixels. Today, as phone screens continue to grow, it is still critical to ensure that touch targets are accessible. More importantly, though, ensuring optimization for intuitive interaction placement and accounting for natural gestures will provide the most mobile design value. Mobile users are usually in motion: they have something to do and are using their phones to enable that action, find something close by, or relieve boredom. Mobile design needs to lighten their load and make their lives as easy, fun, and convenient as possible. Using vector-based icons and open fonts. Having a presence on multiple channels is basic table stakes in today’s digital commerce environment. 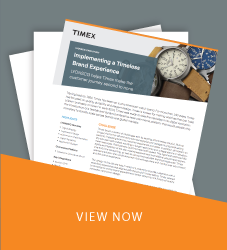 Shoppers want seamless experiences across devices, and mobile design plays a critical role in enabling these journeys. First and foremost, your design needs to maintain continuity. This means keeping the brand experience consistent as a user moves between touch points and prioritizing user needs based on context across all these channels. At the end of the day, these aren’t just “mobile shoppers.” They are customers who perform specific actions on their mobile device and want to be known as individual shoppers regardless of channel. Not only can good design get these shoppers to convert on mobile, but it can drive them into stores and compel them to make larger purchases. At last, mobile design is all about delivering what the user needs the moment they need it. Remember, these needs fall into three mindsets: microtasking, local exploration, and boredom. Google calls these “Micro Moments,” and they are the key to creating a seamless experience that engages and delights mobile shoppers. Microtaskers use their devices for short bursts of activity. These are people who want to know something or buy something, and they use their phone to enable the completion of that task. These are users that want to do something or buy something and need to know if they can do this nearby. Out comes the phone, and away these users go, plotting their next shopping trip or experience. Bored users are, well, bored. They use their device for distraction and entertainment during a commute or a quiet afternoon. These users aren’t directly trying to accomplish a task, but they are ripe to be convinced to learn, shop, buy, go, and do. Well-designed mobile experiences enable visitors to do these things immediately, in context, and enriched with localized and personalized functionality. These experiences are what wins in today’s mobile world. Interested in learning how to go about implementing these mobile best practices? Download these white papers: How To Build an eCommerce Design Roadmap and Five Questions to Ask Your Future eCommerce Design Partner. Emily is a Experience Architect in LYONSCG's Chicago office. Focused on User Experience Design and Information Architecture, Emily works with client teams to realize business goals and provide consumers with engaging experiences.